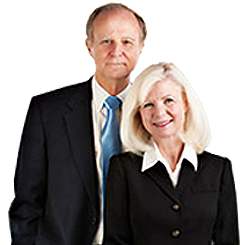 Sharon & Judson McCollum’s resource for buyers in the Albuquerque real estate market. Helpful information to guide you through the buying process in the Albuquerque real estate marketplace. The secret to venturing out into the Albuquerque real estate market and making a successful home purchase is to have strategic information before you start looking. This helps you make a good buying decision and avoid paying too much or buying the wrong home. This page is a good starting point if you are buying your Albuquerque home. Also, please feel welcome to email Sharon & Judson any questions you might have, or they’ll be happy to set up a no-obligation meeting to discuss your unique situation. They’re happy to see if they can help, you won’t be obligated to work with them. To order any of the following complimentary Albuquerque real estate reports for buyers, just check the box to the left of the title and click “Send Me” at the bottom. You will then be prompted to enter your mailing information. We will send you the report(s) of your choice once we have received your request.